Christmas time is almost here and I can hardly wait! I’m sharing how to make a simple cinnamon vanilla sugar scrub, perfect for a neighbor gift! Your kiddos can even help measure out the ingredients and mix them together, a perfect opportunity to teach them about giving. My 4 year old gave his homemade sugar scrub to his teacher. 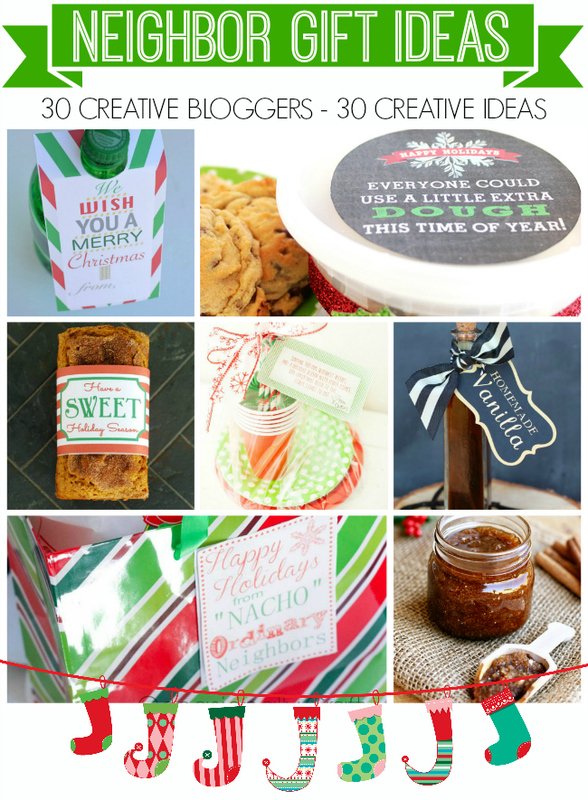 I’ve teamed up with 29 incredibly talented and creative bloggers to share some fun neighbor gift ideas. Make sure to check out all the ideas below and visit everyone’s blogs for more details. Instructions: Mix the sugar, brown sugar, oil, cinnamon and vanilla together until well combined. Scoop into a mason jar or container with a lid to store. Use a teaspoon of sugar scrub on your body, avoiding the eyes, and rinse off with water. This is such an awesome DIY gift idea. I am going to make it for a grab bag, I would love to get something like this!